Penpethy Bed and Breakfasts. Compare latest rates and Live availability for all your favourite places and places you have always wanted to go using our new My Shortlist feature. Click + to add to your Shortlist. 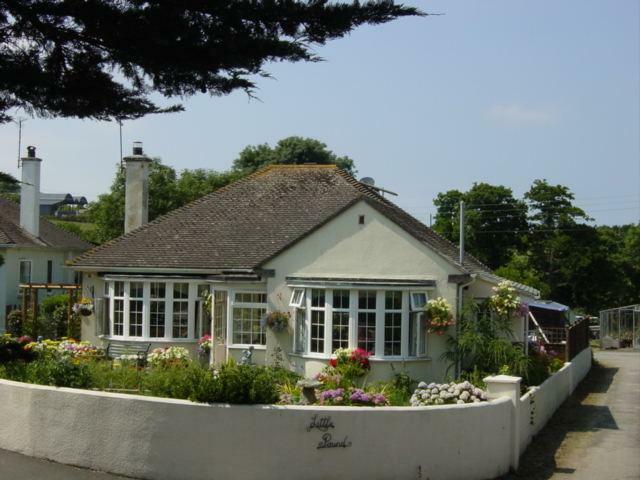 Bed and Breakfasts in Penpethy, Cornwall for 1 night from Wed Apr 24, 2019 to Thu Apr 25, 2019 within 10 miles, in an Average Nightly price range of £1 to £200. This 18th-century former corn mill provides first-class food and board, like a true traditional inn. The Mill House is on Cornwall's north coast, between Port Isaac and Boscastle. The Mill is a charming stone building with a bar, dining room and residents' lounge all with cosy wood fires. It is set in 7 acres of its own wooded valley and garden. The restaurant serves local produce and local ales. A bar menu is also available. Camelot, King Arthur's legendary castle is located in the next valley. This family-run hotel is on the North Cornwall coast, set in 2 acres of grounds overlooking the ocean. It has free Wi-Fi and free parking. Guests can enjoy views of both the countryside and the sea. Each room at Bossiney House Hotel also has a flat-screen TV with a DVD player, as well as tea and coffee-making facilities. The Cedar Tree Restaurant serves home-cooked food made from local produce, including fresh fish. There is an extensive wine list, and a bar offering a range of beers and spirits. Bossiney House Hotel is only half a mile from the centre of Tintagel, and there are coastal paths and walks available nearby. Bossiney Haven has a stunning beach, with caves and scenic waterfalls. Just 1 mile from Trebarwith beach and Arthur's Castle in Tintagel, Penallick Hotel B&B is set on the coast of North Cornwall. It offers non-smoking accommodation, free Wi-Fi and free parking. The guest rooms come with a TV and an en suite bathroom with hairdryer and shower. Most also boast sea views. Guests will enjoy panoramic views of the coast and sunsets over the Atlantic Ocean. Every morning, a varied breakfast menu features a choice of fruit juice, cereals, a continental option or a full English breakfast. In Tintagel city centre just 1 mile away, guests will find a range of restaurants. The Bed & Breakfast is 300 metres from the South West coast path. Guests can drive 7.5 miles to go and visit Port Isaac or 4.1 miles to enjoy Boscastle. Newquay Cornwall Airport is 24.4 miles away. We are a family friendly Inn in the heart of Tintagel near to all places of interest. Open all year and offering Visit Britain 4 Star Inn bed and breakfast accommodation locally brewed Real Ales and good food from 9am to 9pm. ( winter hours may apply) King Arthur s is a good place to stay whilst touring the stunningly beautiful North Cornwall. In the Inn there are 5 bedrooms and in the annex there are 5 ground floor rooms that are suitable for disabled persons fully wheelchair accessible with wet rooms and some mobility aids. Also available a family/friends 3 bedroom annex for up to families or groups of 6 guests and a ground floor 2 bedroom annex that is suitable for smaller families having a double room and an extra single bedroom or guests preferring not to have to climb stairs. Situated in Tintagel, a 3-minute walk from the castle rumoured to have been birthplace of King Arthur, this traditional inn boasts free WiFi and free parking on site. The popular town of Newquay is 30 miles away. Guests at The Cornishman Inn can explore the rugged coastal surroundings, and visit Merlin's Cave. Dartmoor National Park can be reached in less than an hour's drive. The rooms at The Cornishman are bright and traditionally furnished. Each features tea/coffee making facilities and a flat-screen TV. In the morning, guests can enjoy a selection of cereals and juice, tea/coffee, toast, preserves and a full English breakfast. Special diets can be catered for if requested in advance. Delicious homemade food is made from fresh local ingredients and served in the restaurant. There is a flowered terrace outside, or a choice of 3 indoor bars to choose from. Set in Tintagel, Camelot Castle Hotel offers sea views overlooking the cliff. This property is located a short distance from attractions such as Tintagel Castle. Guests can have a cocktail at the bar. At the hotel, each room is has a wardrobe, a flat-screen TV, a private bathroom, bed linen and towels. Free WiFi is accessible to all guests, while selected rooms include a DVD player. A Full English breakfast is served every morning at the property. Camelot Castle Hotel offers a terrace. Hiking is among the activities that guests can enjoy near the accommodation. The nearest airport is Newquay Cornwall Airport, 30 km from Camelot Castle Hotel. In picturesque Boscastle, on the North Cornwall Coast, The Wellington Hotel features an award-winning restaurant and real ale bar. The historical building offers cosy log fires and scenic views. Waterloo Restaurant serves a creative menu featuring quality local produce and homemade puddings. The bar features exposed beams and open fires, and offers West Country ciders and ales. With free Wi-Fi and traditional decor, the rooms each have a flat-screen TV/DVD player. All rooms have Fairtrade tea/coffee with Cornish biscuits, and a private bathroom with free toiletries. The Wellington Hotel has an elegant guest lounge in the impressive turret, offering views across the Valency Valley. Guests can also relax in the leafy gardens, and free on-site parking is available. Just a 5-minute walk from the medieval Boscastle Harbour, The Wellington is surrounded by Cornish countryside. Boscastle village is a 10-minute walk away, and the South West Coast Path is 500 metres away. Overlooking the harbour in the Cornish fishing village of Boscastle and surrounded by the beautiful North Cornwall coastline the Wellington Hotel has been providing a warm welcome to its guests for many years. It is one of Cornwall s oldest Coaching Inns and dates back to the 16th Century. Originally known as the Bos Castle Hotel the Hotel was renamed after the death of the Iron Duke the Duke Of Wellington. Past guests have included royalty and celebrities such as King Edward VII Sir Henry Irving Guy Gibson and Thomas Hardy. The Wellington has a long history of offering fine accommodation food and drink. Our 14 bedrooms are traditional yet equipped to meet the needs of the modern world. In the morning you can wake up to a leisurely Cornish breakfast before a refreshing walk through the harbour and along the coastal cliff path. You can enjoy home cooked food Cornish real ales or a glass of wine in the Long Bar while relaxing next to the open fire. You can take afternoon tea or just unwind with a good book in our Lounge. In the evening our restaurant made famous following its appearance on Changing Rooms offers gourmet dining and fine wines. Everyone is welcome at The Wellington whether you stay at the hotel or just come for lunch or dinner in our bar or restaurant. Set in a quaint 16th-century building alongside the River Valency, The Riverside is a 4-star silver award guest house. It offers free Wi-Fi and an award-winning breakfast. Each room has a 26-inch flat-screen TV with a DVD player, a hairdryer, and tea and coffee making facilities. The rooms benefit from an en suite shower room or a bathroom. Locally caught fish and meats feature on the Riverside Restaurant's menu, along with Cornish cream tea served in the daytime tea room and garden, which has beautiful river views. The South West Coastal Path is less than 10 minutes' walk from this guest accommodation. Scenic walks can be enjoyed in the wooded valley of the Valency or Saint Nectan's Glen, which is a 10-minute drive away. Bridge House Bed & Breakfast provides accommodation with a terrace and free WiFi. A Full English/Irish breakfast is served daily at the property. Padstow is 39 km from the bed and breakfast, while Port Isaac is 21 km away. The nearest airport is Newquay Cornwall Airport, 46 km from Bridge House Bed & Breakfast. Located within 700 metres of Tintagel Castle in Tintagel, The Old Vicarage Tintagel offers accommodation with free WiFi. A Full English/Irish breakfast can be enjoyed at the property. Guests can relax in the garden at the property. Newquay Cornwall Airport is 43 km from the property.